From Scott Erickson, “Response to Clifton-Soderstrom,” pp. 33–36. Regarding homosexuality, the underlying challenge with a model of faithful dissent is theological. Said another way, the heart of the problem is how the ECC exercises a theology of Christian freedom in relationship to homosexuality, not as a result of homosexuality. I believe the ECC is trying to solve the wrong problem (homosexuality) when a clear, renewed theological statement and implementation plan on Christian freedom is what’s most needed. We face another challenge with the model of faithful dissent because of the denomination’s current stance on a static authority of Scripture. I am not questioning the authority of Scripture per se, but rather the weight of that authority in the theological work of the church and how to deal with different points of interpretation. Paul Peter Waldenström, a Covenant founder, cast aside theological methodology with one question: “Where is it written?” Note that he did not ask, “What is the meaning of what’s written [in the Bible]?” Waldenström’s question espoused a static authority by implying that Mission Friends should quote the Bible literally rather than wrestle with its interpretation. His position aligned with the American evangelical movement of the nineteenth century. The result over time is that the ECC has relegated authority to a holy document rather than sustaining an active and lively discussion about the theological interpretation of Scripture within the body of believers. It is frankly foolish to believe we’re finished—or will ever be finished—with the task of biblical interpretation on homosexuality and gay marriage, as some have argued. We should never finish our discussions on the meaning and interpretation of God’s word. Covenant framers would agree with [sociologist Richard] Sennet because they understood that power relegated to the Bible’s authority has been constructed by humans. The authority of Scripture can become its own power play or hierarchy, even used as an excuse to suspend dialogue and to avoid consideration of theological change. In ECC tradition, this means that faithful dissent on homosexuality can be too easily, and mistakenly, characterized as dissent against Scripture itself. Instead, Clifton-Soderstrom’s framework would be best understood as faithful dissent vis-à-vis denominational policy, the official stance of church leaders, and biblical literalism. Readiness for theological dialogue and change will not happen by endlessly quoting passages of Scripture on homosexuality. The central question is whether a document—even a sacred document like the Bible—should be given so much power over a gathered body of believers who agree and dissent on many theological topics. My second suggestion is for the ECC to study and define more clearly how authority is exercised: Bible, Annual Meeting, local congregations, and church policy versus personal belief. Since its founding, however, the ECC has found ways to be the body of Christ by creating space for starkly different theological views, for example, modes of baptism, theological training for pastors, biblical interpretation, civil rights, divorce and remarriage, and women’s ordination….So this begs another question: Is homosexuality too thorny a topic to create space for starkly different theological views? We can return to Clifton-Soderstrom’s framework to seek an answer. If we apply her five criteria “for gauging the faithfulness of dissent,” it is clear that faithful Christians can (and, indeed, do) hold starkly different views on homosexuality within the same body of Christ. Yet faithful dissent on homosexuality has not yet resulted in the level of dialogue and reforms requested by the dissenters. By leaving the ECC, they could respond as I did, yet it should not be the goal for people to leave the ECC. Faithful belonging should be the goal. If we really believe in the body of Christ and the kingdom of God, theological issues should be de-emphasized in favor of an inclusive ecclesiology. If we, like Maria Nilsdotter, are listening closely to God and are open to the Holy Spirit, then faithful belonging is really the only theological goal we can have. Read Erickson’s full response here. 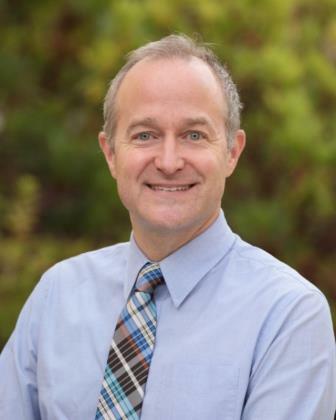 Scott Erickson is head of school at Phillip Brooks School, Menlo Park, California. His doctoral research at the University of Uppsala is published as David Nyvall and the Shape of an Immigrant Church: Ethnic, Denominational, and Educational Priorities among Swedes in America.